Oldhammer 40k: Urban Scenery for the Battle at Sanctuary 101! Following on from my last few posts I’ve decided that I will be responding to Suber’s encouragement and definitely refighting the classic Battle at Sanctuary 101 between the Sisters of Battle and the Necrons. Having thought about this I’ve also made the decision that I want to revamp my scenery/terrain in order to ensure that the battlefield looks suitably impressive for a refight of this legendary skirmish. 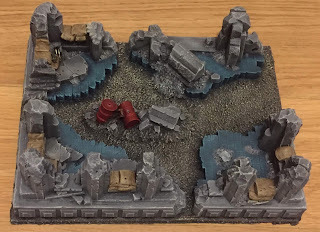 Whilst perusing a well-known online auction site I recently managed to find this piece of the original ‘Citadel Urban Terrain set’ that was launched alongside the first Codex: Cityfight back in 2001 in new condition. This classic item of terrain was a one-piece vacuum-formed construction made of hollow plastic (unlike the modular sets that were released a few years later). 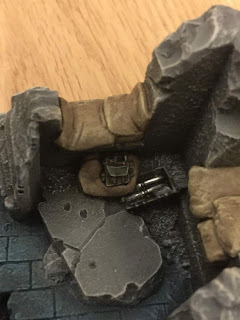 Once it arrived through the post I swiftly decided that I wanted to give this venerable terrain piece the paintjob it deserved and so I took additional time to paint all the little hidden details ... such as this radio transmitter vox-caster and ammo crate. 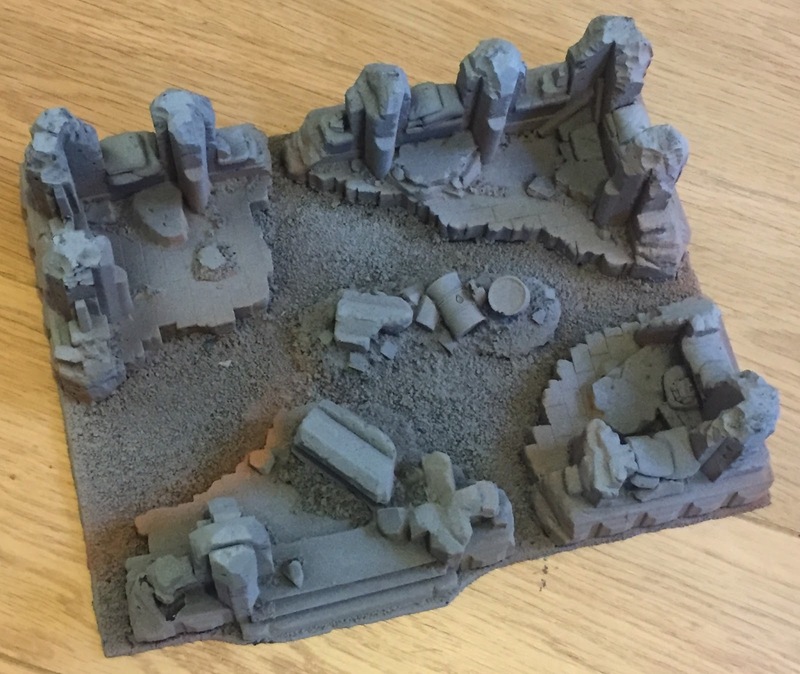 Now that it’s complete I’m very happy with how I have managed to transform this single piece of brittle plastic into a fairly impressive looking Warzone. I can’t wait to see the fanatical sisters of the Adepta Sororitas combating the metallic menace of the Necrontyr across this ruined building in the near future. I love it. You made a gorgeous work, particularly on those tiny details. Really a centerpiece for the scenario! Thanks mate! I really enjoy bringing out all the details, it’s a shame to miss them! I’m already working on some more scenery now.